Follow these simple steps to create your own pathway to personal growth. 1. Set up a journal – a simple notebook or binder or a word file on your computer. 2. Identify your greatest need or interest from the topics in column 1. Want a good overview in only one hour? Choose Insights on One Page. Want to explore the topic in depth? Choose a workbook. Each workbook comes with at least 30 days of email support. Want to have quick insights over time? Choose an email series. 4. Click on the program(s) you want, to download the material or start the email series. 5. This Passport form is available in PDF format so you can print it for your records and check off the programs as you complete them. For maximum impact, please address only one or two topics at one time. It takes focus and time to change our thinking, behavior and consciousness. Don’t hesitate to repeat a program for deeper understanding. You can take programs as many times as you want. Unsure about where to start? 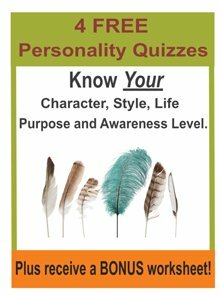 We recommend Know Yourself and Healing Life Challenges. If you want more resources, consult the Needs Directory.